My blog photography is something I've been working on this year. Now I have my own office I've had the space to take it seriously and start buying bits and bobs to style photos with. I've always wanted my photography to be clean but I started to feel it's a bit too white and sterile and wanted to inject some colour. Today I'm sharing what I use to make my photos more colourful and interesting! More than anything I decided I didn't want my blog to look like the hundreds of others out there. Crisp, white photos, marble and rose gold. Don't get me wrong, I have nothing against bloggers who do, I just wanted my photos to stand out from the crowd. If your more interested in the equipment side of things, you can see what cameras I use in my blog post here What's In My Camera Bag? but apart from that I just use natural day light and little to no editing! I crop my photos and sometimes increase the light if they need it but that's it. I've had so much fun shopping for bits and pieces to style my photos with and I've come across a few bits I adore! Probably one of the biggest changes I've made is adding some colour in via card stock! I sat down and decided what I wanted my blog to look like and what colours I loved. 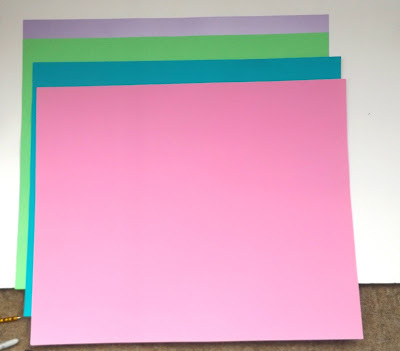 Brights and pastels came up trumps so I invested in some large sheets of card stock. I believe these are A1 and I picked them up for £1.25 a sheet in The Range. My white foam boards were 2 for £6 in Hobbycraft and I love using them for their sturdiness! 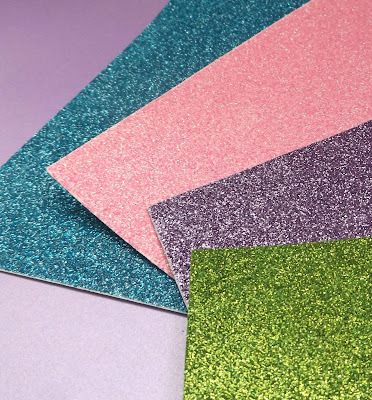 Another thing I picked up were these A5 glitter cardstock. For £1.99 in The Range I picked up three sheets of each colour and as I love a bit of glitter these had to be purchased. You've probably seen this lot in previous blog photos but sequins are a super cheap and easy way to add colour without spending a fortune. 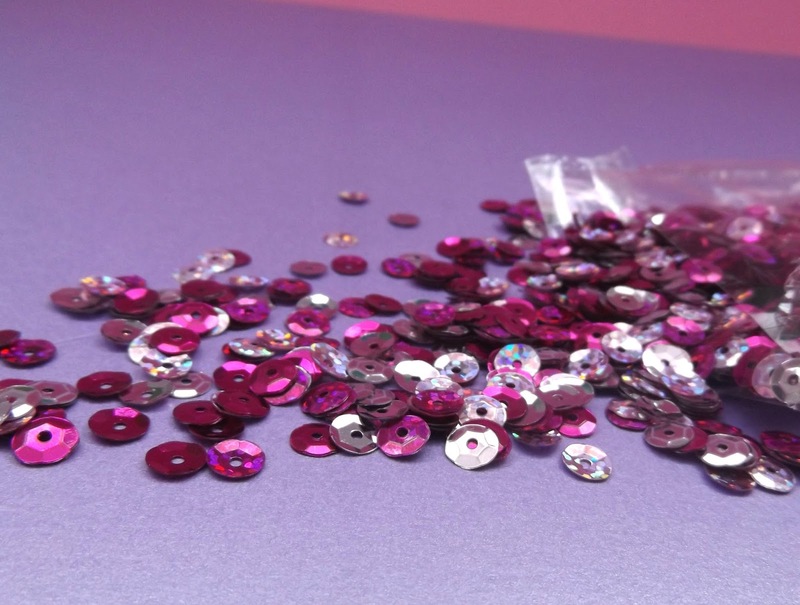 I opted for pink and silver but they come in so many colours and shapes there's a never ending choice. I love sprinkling these around just to add a pop of colour but will admit that cleaning up can be a bit of a nightmare! I know this seems strange but buttons are another fantastic way of adding colour without having to anything drastic. I think these were around £3 in hobby craft in various shades of pink but again there's a never ending choice of buttons! Any excuse to buy cute or cool coloured pens is okay with me! A metallic sharpie or a diamonteed biro can add colour and texture to your photography. I picked up my two sharpies in a Card Factory shop for about £1 each, my diamontee biro for £1 in Wilkinsons and my gorgeous Pluto pen, well, it costed me a bloody fortune in Disneyland Florida but I just had to have it. For some unknown reasons Pompoms can get really expensive really quickly! In Hobbycraft around 10 are £3! 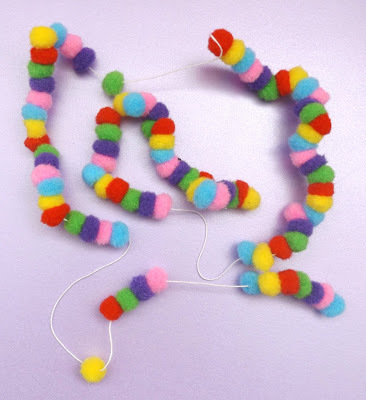 I picked up this string of bright coloured fluffy ones for a mere £1 in Wilkinsons. They can be taken off the string and can be moved along the string but I love how they add more colour and texture. 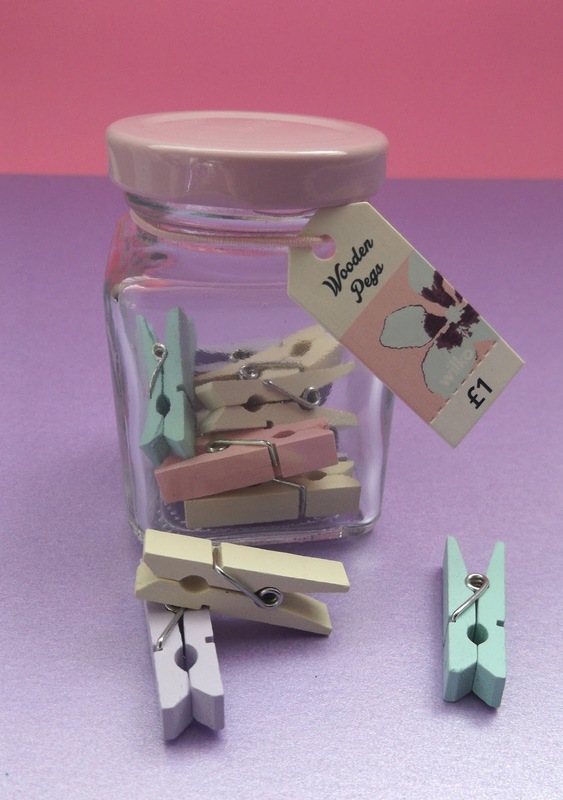 I love these pastel pegs! 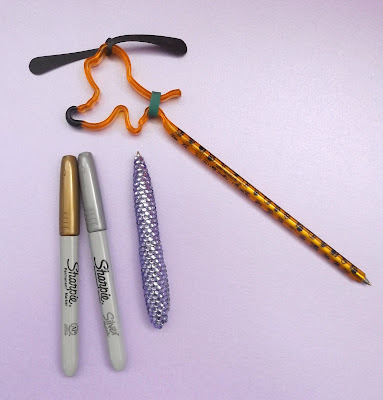 They are super handy for keeping paper together on my desk and for looking adorable in my photos! Again I paid only £1 for these in Wilkinsons! My gorgeous cat rubbers in the main picture of this blog post were again from Wilkinsons for a mere 60p! 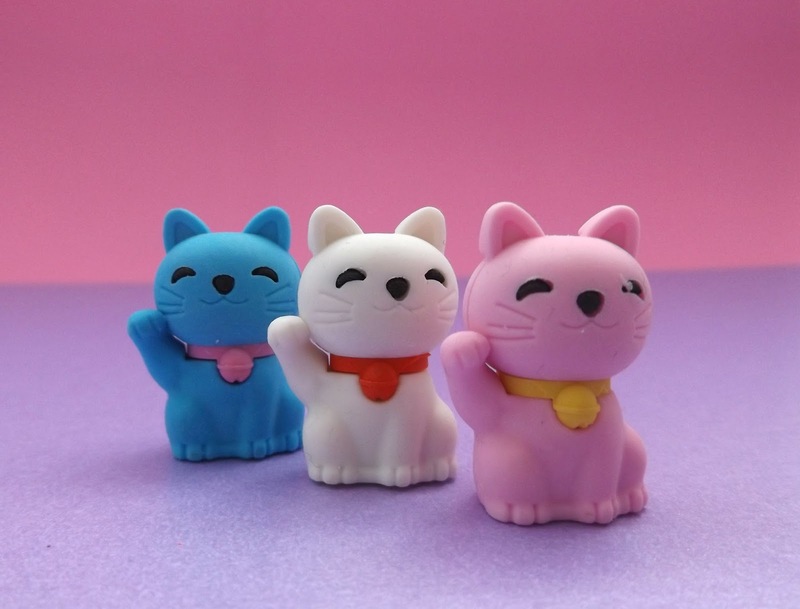 I'd collect cute rubbers if I could! What do you use in your blog photos? Yes! You are right. By adding more colour you will be more attractive than standard blogs. Good move! The more you stand out the more you will get noticed. Photography and props are something I really need to work on, but I had no clue where to start. I didn't realise that you could pick up such lovely props for so little! I definitely need to get myself to The Range! Seriously thanks for the great tips! Photography is my pet hate so anything that's quick, easy and cheap to make my life and my pics better will be soooo good!